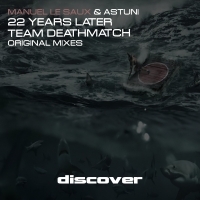 Epic trance all the way from the Extrema big Hitters, Manuel Le Saux and Astuni.. Both tracks originally appeared on Manny's critically acclaimed second artist album, Destiny, in their edited form and now appear in their full length club glory for the very first time. Mixmag love it, we love it and we are sure you will love it too! !